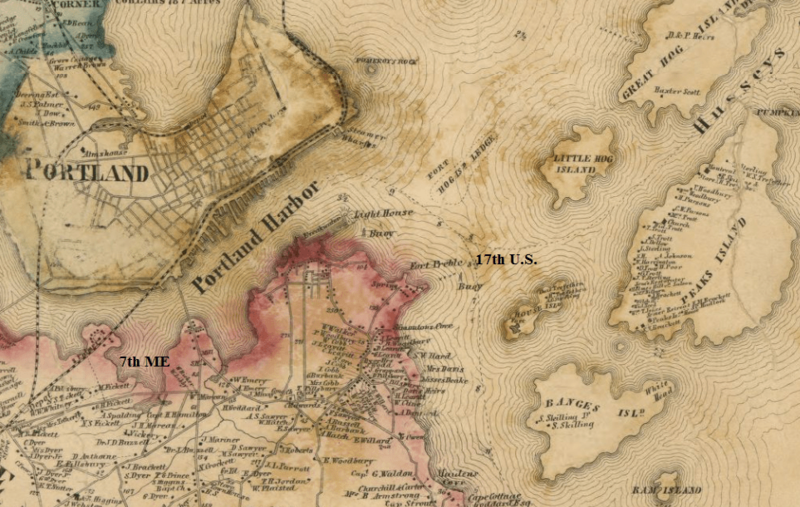 Part Two of a series on the Battle of Portland Harbor, which occurred on June 27, 1863. Part One can be read here. Charles W. Read’s 4,000 mile journey from the coast of Brazil culminated as he sailed the Archer, a captured fishing schooner, into Portland, Maine’s harbor after nightfall of June 26, 1863. The small Archer had its prize crew of about twenty Confederate sailors along with the one howitzer Read had brought along and made good use of over the past near two months. As Read sailed underneath the guns of the forts surrounding Portland’s bay, he spotted his target: the revenue cutter Caleb Cushing. The Revenue Cutter Service in the 1860s acted much like a precursor to the modern day U.S. Coast Guard. With an overall length of 100 feet, the Caleb Cushing was armed with a single 32-pounder, a gun that appealed immensely to Charles Read as he was still relying on the small howitzer he had brought along from the CSS Florida. As Read prepared his crew to take the cutter as quietly as possible, he had no idea how fate had played right into his hands; around the time that the Archer sailed by Portland Head Light, the Caleb Cushing’s captain, George Clarke, died of a “disease of the heart.” Clarke’s death meant that, one: most of the cutter’s officers were ashore taking care of funeral arrangements for their deceased commander, and two: a large portion of the Caleb Cushing’s crew had used their captain’s death to avail themselves of leave in Portland’s busy streets. Left on the Caleb Cushing on the night of June 26 was a small remnant of the crew along with acting commander, Lieutenant Dudley Davenport, a Georgian by birth and, by happenstance, an old classmate of Read’s from their days at the Naval Academy. Portland Harbor. The map has been labeled to identify the approximate location of the 7th Maine as well as the location of Fort Preble. By 10 AM the rebels and their stolen ship were only twenty miles out of Portland’s inner bay. At that time, in the distance, Read could see ships approaching, and while the Caleb Cushing was at the mercy of the light wind with its sails, the Confederate lieutenant saw smoke pumping furiously from the oncoming ships’ stacks. It did not take long for Read long to realize that they were Federal ships, hastily in pursuit. The morning of June 27, as Read’s men and their captured prize fought against the light wind, Portland’s Custom Collector, Jedediah Jewett, was alerted that the Caleb Cushing was gone around 8 AM. Hearing of the incident Jewett initially thought that Lieutenant Davenport, the Georgian-native, had decided to switch sides in a dramatic way. Jewett acted quickly and sent out two messengers. One messenger made his way across the harbor to Fort Preble, currently headquarters to the 17th United States Infantry under the command of Major George L. Andrews. Though Andrews and the 17th U.S. were stationed in Maine for the time being, they had seen their fair share of action. Just under two months before, in some of the opening shots of the Battle of Chancellorsville, Andrews’ men had deployed to protect the Federal army’s advance down the Orange Plank Road. 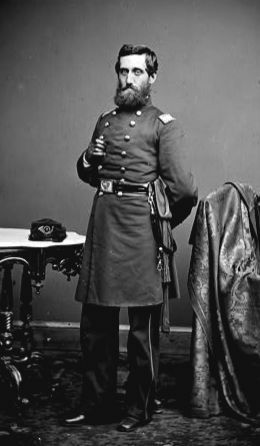 The Regulars’ brigade commander wrote, “I desire to mention by name… Maj. George L. Andrews, Seventeenth Infantry, for the skillful manner with which he covered the advance with his line of skirmishers.” Being posted to Maine many of the Regulars may have presumed they were leaving the combat zone, but war had found them again. Getting word of the Caleb Cushing’s capture, Andrews delegated the Regulars’ response to Captain Nathaniel Prime. Prime and his subordinates, along with some 30 Regulars, picked up their rifles and made their way aboard the Forest City, which was currently gathering steam. As the Forest City prepared to make way, Andrews also ordered that a 6- and 12-pounder be lashed aboard, transforming the side-wheeler into an ad-hoc gunboat. While Jewett’s first messenger made his way to Fort Preble with all that entailed, the second courier raced to Camp Lincoln, the bivouac for four companies of the 7th Maine Infantry. Located along the Fore River, in what would later become the city of South Portland, the detachment of the 7th was on recruiting duty, while the majority of the regiment was just days away from engaging at Gettysburg. 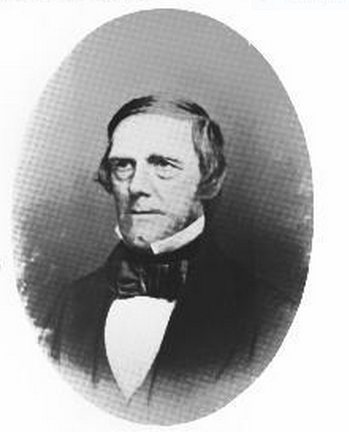 In charge of the Maine volunteers was Colonel Edwin Mason and just like his Regular counterpart Andrews, Mason reacted with haste to Jewett’s plea for help. According to Jewett, in about fifty minutes’ time of getting the message, Mason had his regiment formed, “including his band,” and boarding the steamers. Mason’s transport was the Chesapeake, which much like the Forest City, was also readied as an impromptu gunboat, its armament totaling two 6-pounders. Joining Mason’s blue-clad volunteers were citizens from Portland, who, hearing of the commotion, grabbed weapons from the State Arsenal and jumped aboard. Joined by the Casco, carrying more eager citizens, and a tug, intended to tow the Caleb Cushing back into the harbor, the small armada steamed out of the bay. With Jewett hearing of the Caleb Cushing’s capture around 8 AM, and an hour to get the response ready, it was close to 10 AM when the Federal chase got underway. The steamships would prove crucial in catching up to Read’s Confederates, who were still struggling with the light wind in their sails. A morning of excitement was about to turn into an even more dramatic afternoon. Four Federal ships left the harbor, chasing two Confederates—the stolen Caleb Cushing and the Archer. By day’s end one of those ships would go to the bottom of the ocean in an explosive fireball. ______________________________________________________________  Official Records of the Union and Confederate Navies in the War of the Rebellion, Ser. 1, Vol. 2, 322 (hereafter cited as OR Navies); Harry Gratwick, Mainers in the Civil War (Charleston: The History Press, 2011), 95. Winfield M. Thompson, “A Confederate Raid”, in The Rudder, edited by Thomas Fleming Day, Volume 16, 1905, 244; Mainers in the Civil War, 95. Charles L. Dufour, Nine Men in Gray (Lincoln: University of Nebraska Press, 1993), 145. OR Navies, Ser. 1, Vol. 2, 323. The War of the Rebellion: a Compilation of the Official Records of the Union and Confederate Armies, Vol. 25, pt. 1, 533. OR Navies, Ser. 1, Vol. 2, 326. OR Navies, Ser. 1, Vol. 2, 323; Thompson, 245. This entry was posted in Armies, Arms & Armaments, Battles, Civil War Events, Navies, Weapons and tagged 17th U.S. Infantry, 7th Maine Infantry, Archer, Battle of Chancellorsville, Battle of Gettysburg, Caleb Cushing, Casco, Charles W. Read, Chesapeake, Dudley Davenport, Edwin Mason, Forest City, Fort Preble, George L. Andrews, Jedediah Jewett, Maine, Nathaniel Prime, Portland, Portland Head Light. Bookmark the permalink. Thanks for your comment! Look for the conclusion shortly.